Hi! 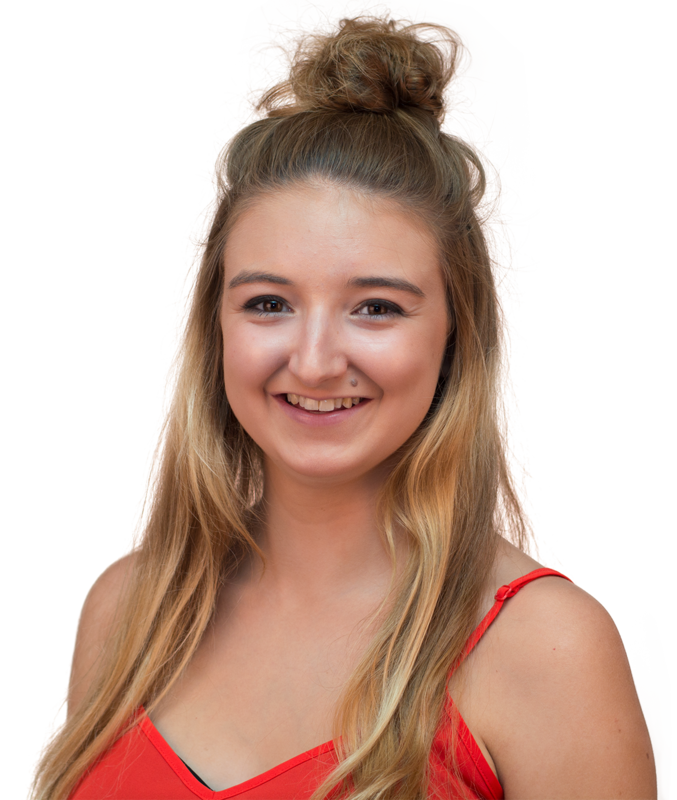 I’m Becky and I’m the Deputy President (Welfare). I’ve just graduated Biochemistry with German for Science and have been involved in the Union since I started in first year. I’ve been involved in Pole & Aerial, BioChemSoc and RCSU during my time here. As the Deputy President Welfare I look after the Wellbeing Representation Network which consists of reps in each year group, departmental reps for each course and reps for each faculty for undergraduates. I help these reps to work with departments to make change as well as listening to their ideas to feed up to College meetings. This year I’ll be attending a lot of College meetings, working with different Student Services as well as working on College strategies such as the Equality, Diversity & Inclusion Strategy and the Student Support Strategy. I also work with a team of Liberation and Community officers to build a stronger more diverse community and to break down barriers for all of our members. We work together to raise awareness, campaign and lobby for change across Imperial. I’m here for every student at Imperial College London for any welfare issue that you need help with. You can get in touch with me in person, by email or through Twitter. You can often find me in the Union Building by coming to the Union reception on the second floor. I can’t guarantee I’ll be available at short notice but Reception will arrange a time for you to see me. Every Officer Trustee sets several goals at the start of each year - goals they will work towards individually, and ones they will work on achieving collectively. Reform our Liberation offering to build stronger communities that are listened to. Audit the Outreach activities run by ICU and Clubs & Socs to understand our Widening Participation Activities. Finalise and implement the Student Support Strategy. Produce a Wellbeing map, outlining all Wellbeing services across Imperial. Review the welfare-related work carried out by various volunteers across the organisation. Opened a link for new students to sign-up to recieve updates from Liberation and Community Officers. This will form a mailing lists so that students know what Liberation and Community officers are doing. Had the first Liberation and Community officer training day giving the officers some of the knowledge and skills that they will use for the year. The day was also a chance for them to get together share ideas and come up with solutions to issues they identified. Some great events for Balck History Month were ran by ACS. I cretaed a liberation reform action plan for the year to determine what the Union will focus on. This included raising the profile of the Liberation and Community officers, the training offering for the officers and the support package available to the officers. The plan also considered celebration months and building networks for each of the zones. A Liberation launch event is being planned to occur in january to raise the profile of the Liberation and Community officers and the zones they represent. Liberation and Community officers have been provided with a mailing list so that they can promote event or activities to students that signed up. The aim is to keep the list growing for the future. Status: I was perhaps a little optimistic about making changes in this area and it is slower than I would have liked. However progress is being made, and the motivation has not stopped! Goal 2: Audit the Outreach activities ran by ICU and Clubs & Socs to understand our Widening Participation Activities. Status: I'll be launching this project in the new year! Goal 3: Finalise and implement the Student Support Strategy. The Student Support Strategy Consultation has been ongoing over the summer and the deadline was extended until 28th September to encourage more students and staff to have a look and share their ideas about it. Discussions are taking place at Board meetings to determine the role that the Union should have in the implementation of the strategy. I received the feedback from the consultation. Thank you to everyone that filled it in, particularly the PhD students as there were loads of responses from you! The consultation suggests that the concept of the strategy is good, but that students are sceptical about whether anything will actually change. The strategy will be slightly tweaked but mostly remain the same before going to the Learning and Teaching Committee and Provost Board for approval. Status: Good progress with clear feedback that this is the right direction! Just waiting for approval! Goal 4: Produce a Wellbeing map, outlining all Wellbeing services across Imperial. I've identifed the difficulty for students to understand the support services, what they do, how they access them and which services are connected after being introduced to the key staff members in these services and being very confused. I've mapped out all of the services across Imperial that students might access and what they can do for students. I've spoken to the Student Services team in College about fitting the wellbeing map into the Student Space section of the College website. They are keen to take my input forwards but are not currently in a position to do this and it is likely to take them at least a year to be ready for this. I'm currently looking for other options such as a webpage or app to rpovide a more immediate solution. I've planned out pages for the services from a user experience. This means that it looks at all the questions students may ask about support and the answers that they need. Status: Good progress - just need to decide where this will work best! Goal 5: Review the welfare-related work carried out by various volunteers across the organisation. Mums and Dads was identified as the first group of volunteers who carry out welfare-related work but do not recieve enough support or guidance about the role. Sign-ups were done using a qualtircs survey which was not ideal but the only way to ensure the scheme ran this year. The sign-ups included sections that required agreement and a short quiz to check understanding about the role. Created a platform for DepSocs to share event ideas. After Welcome Week it was clear that the relationship between Halls and the Union is very weak particularly with Hall Seniors. I planned to consult as many halls wardening teams about problems so that we can strengthen the relationship and work better together. ​​​​​​​I've been consulting with many wardening teams and have recieved some great feedback. There's definite room for improvement with the relationship and I look forward to championing this. Welfare volunteers within CSPs don't recieve any training and are not supported. There are a few in ICSM clubs so discussions started about how best to work with these volunteers. Status: This goal keeps getting broader as there's so many aspects! I'm trying to narrow down the focus so more significant progress can occur. 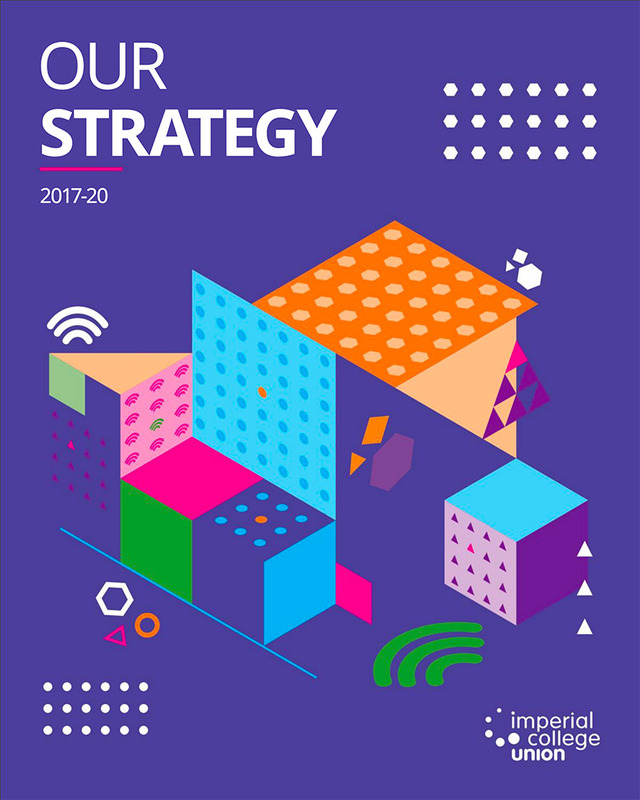 Everything Imperial College Union does, including my work as an Officer Trustee, is guided by Our Strategy 2017-20, launched in January 2017 after extensive consultation with our members and volunteers. Our Strategy sets out how we will transform the Imperial experience.